Gemba, as defined by the Lean Construction Institute, is the Japanese term for “where value is added or where the work takes place.” Lean experts encourage “going to the gemba” to see how things are really done and where there is opportunity to eliminate or reduce waste. Going to the gemba or going to the work is observing a project’s moving parts from administrative to construction processes. The goal is to gain awareness of how work is performed at every stage of the process and to make improvements and standardizations through collaboration and first-hand perspectives. With gemba, the idea of “going slow to go fast” goes hand-in-hand with continual reflection and the PDCA (plan, do, check, act) cycle. During a gemba walk, defined as a visual and purposeful walk at the source of the work to thoroughly see and understand work processes and the frontline work, managers realize instant improvement opportunities with safety and the planning process while clarifying the scope of the project or task. 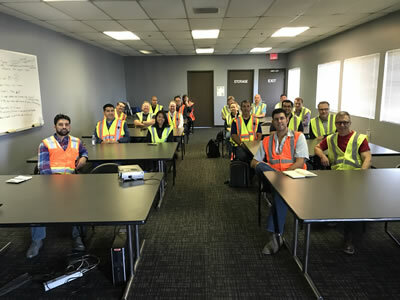 Going to the gemba also promotes a trust-based, collaborative environment where all team members offer valuable input to remove project constraints and waste in the workflow process; a gemba walk is all about observing, engaging and improving. Gemba training at LCI Congress is a 55-minute presentation, reinforced by custom videos and interactive group discussions, that explains how to perform a Gemba Walk and provides attendees with a basic understanding of continuous improvement. The final day of LCI Congress is a chance for attendees to observe Lean processes in action through a Gemba Walk. Participants have the opportunity to walk a site where real work occurs, be it an Integrated Project Delivery (IPD) project, a trade partner shop or a non-construction site. 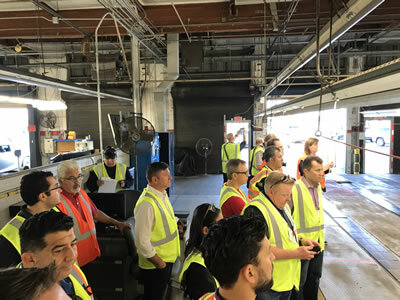 Attendees observe first-hand the host site’s implementation of Lean principles and have opportunity to offer feedback based on the knowledge learned during LCI Congress week. Can Lean Principals Apply to Pre-Construction Activities? What Do You Do on a Gemba Walk?